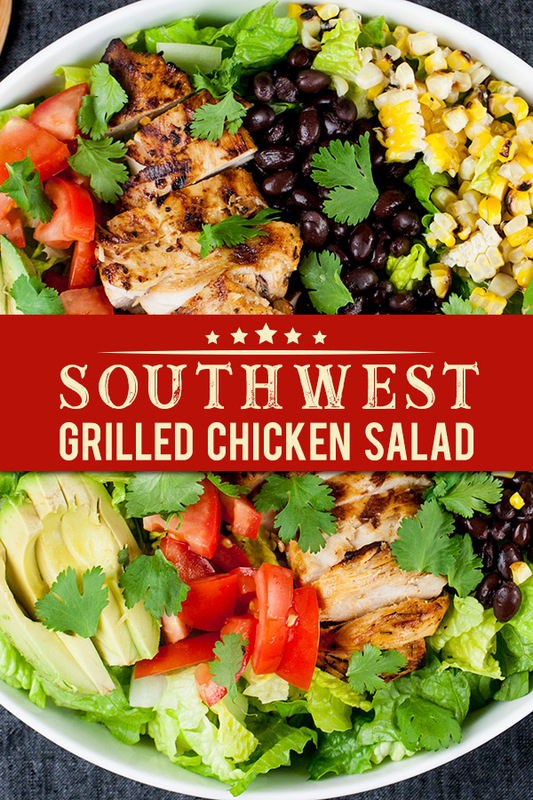 Skip the drive-thru and make your own Southwest Grilled Chicken Salad. 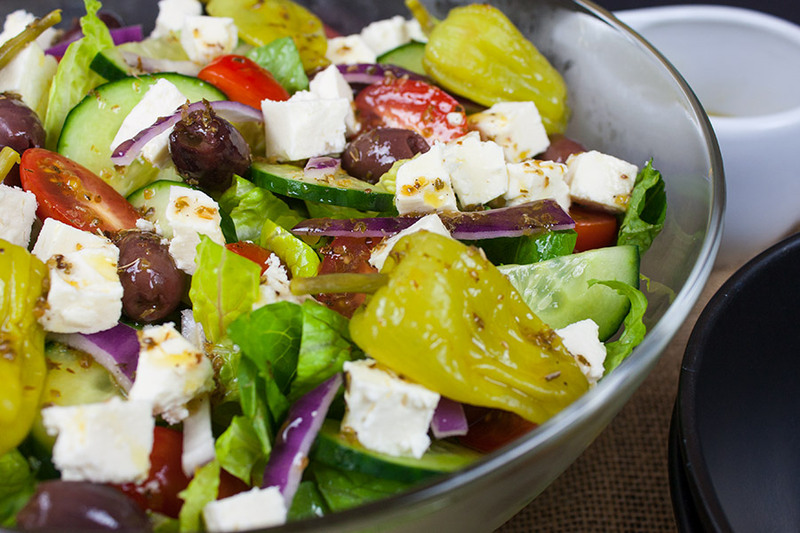 It doesn’t get fresher and healthier than this flavorful salad. The chicken is marinated in a smoky adobo flavored marinade. Giving this chicken more than just a “taco” flavor. Grilling the corn and jalapenos adds extra smoky flavor to this dish. In a food processor or blender add the onion, garlic, oregano, cumin, chipotle pepper, adobo sauce, smoked paprika, lime juice, fresh cilantro, salt, and pepper. Pulse a few times to liquefy. Pound chicken breasts to an even thickness. Place the chicken in a large zip-top plastic bag, pour the marinade over the chicken and massage a few times to distribute the marinade evenly over the chicken. Refrigerate for at least 8 hours to overnight. This long marinade time will impart loads of flavor to the chicken. Remove the chicken from the refrigerator and allow to sit for 15-30 minutes before grilling. 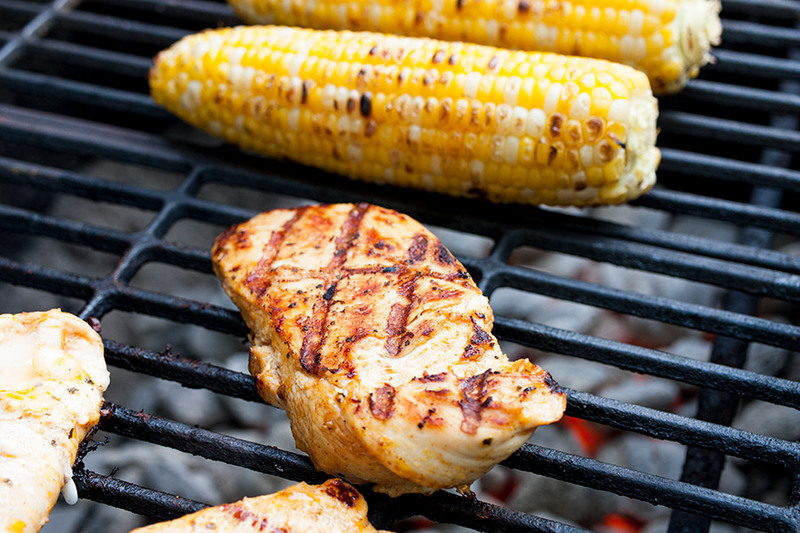 Grill the chicken without turning for 5-7 minutes per side (this will depend on the thickness of your chicken breasts), or until a thermometer reads 165ºF degrees in the thickest part. 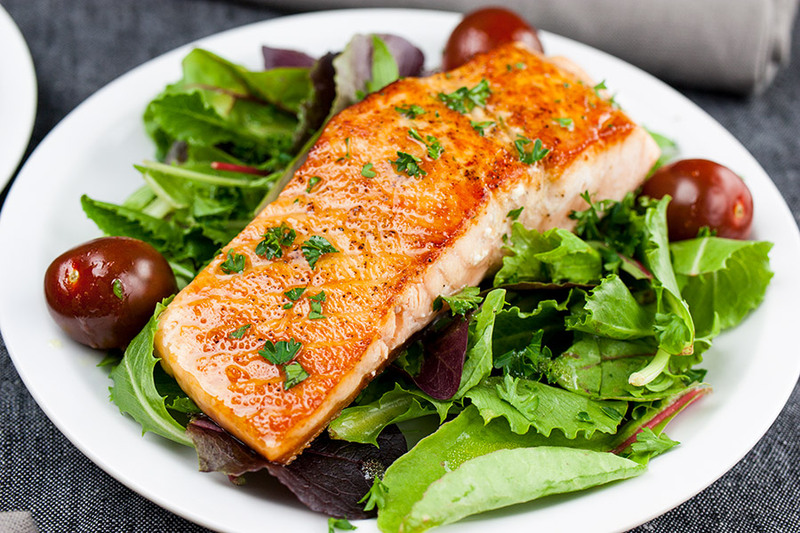 Remove from the grill and let rest for at least 10 minutes before slicing. Grill the corn and jalapenos for 15-20 minutes, turning frequently, until lightly charred. Carefully cut the corn off the cobs into a large bowl. Chop, seed, and devein (if desired) the grilled jalapenos and toss in the bowl with the corn. Place the chopped lettuce on the bottom of a large platter. 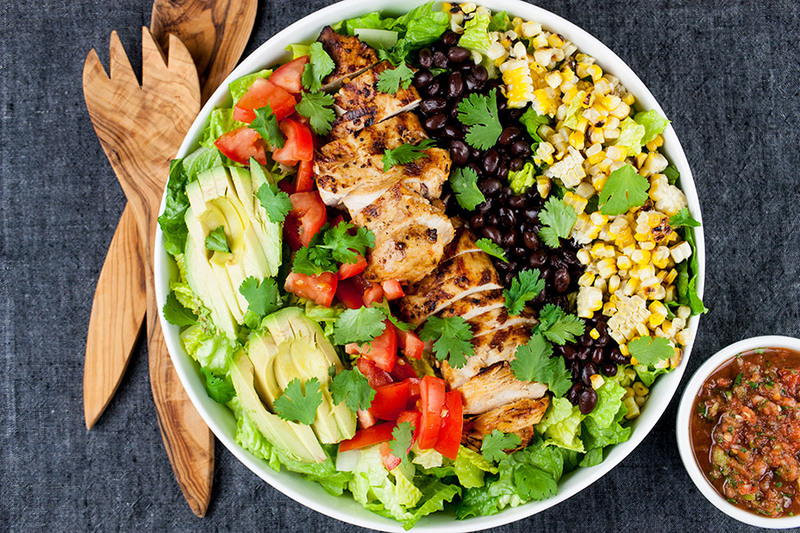 Top with the black beans, grilled corn, grilled jalapenos, tomatoes, avocado, cilantro, and sliced grilled chicken. 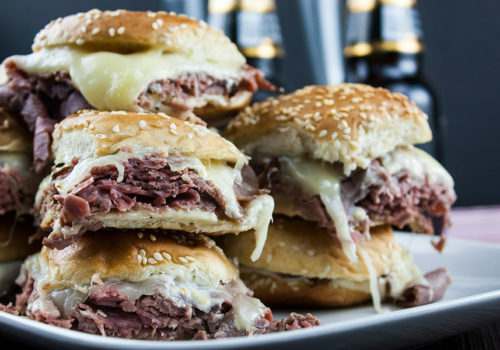 Serve with our Fire Roasted Salsa or our Creamy Jalapeno Cilantro Dip. 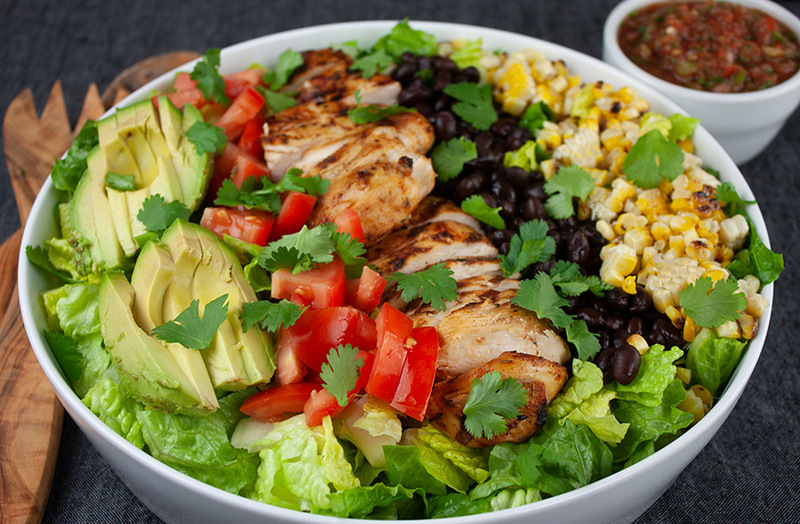 Either one is a perfect fresh dressing for this Southwest Grilled Chicken Salad. 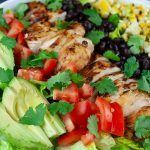 Southwest Grilled Chicken Salad - A fresh, healthy flavorful salad. Chicken marinated in a smoky adobo flavored marinade gives it more than just a "taco" flavor. 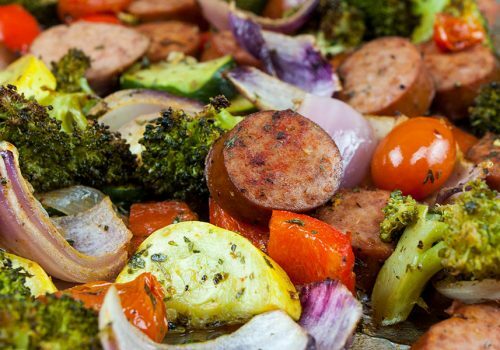 Grilling the corn and jalapenos adds extra smoky flavor to this dish. Pound chicken breasts to an even thickness. Place the chicken in a large zip-top plastic bag, pour the marinade over the chicken and massage a few times to distribute the marinade evenly over the chicken. Refrigerate for at least 8 hours to overnight. Remove the chicken from the refrigerator and allow to sit at room temperature for 15-30 minutes before grilling. 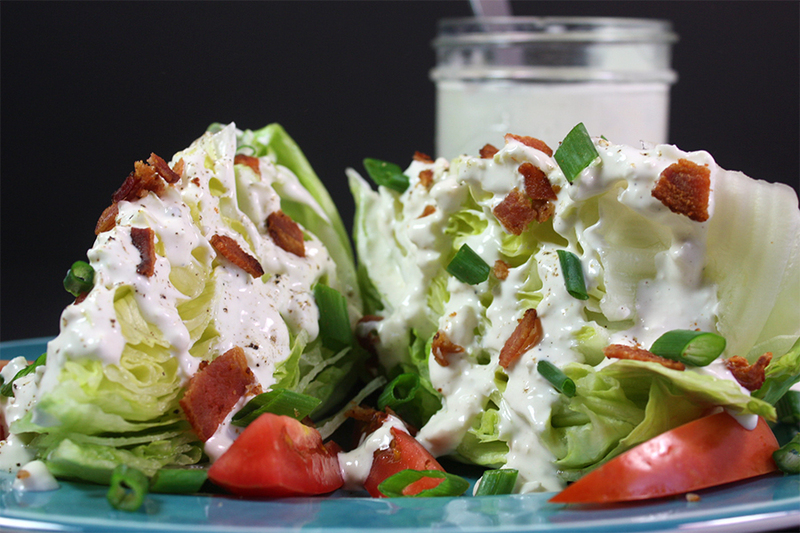 Place the chopped lettuce on the bottom of a large platter or salad bowl. 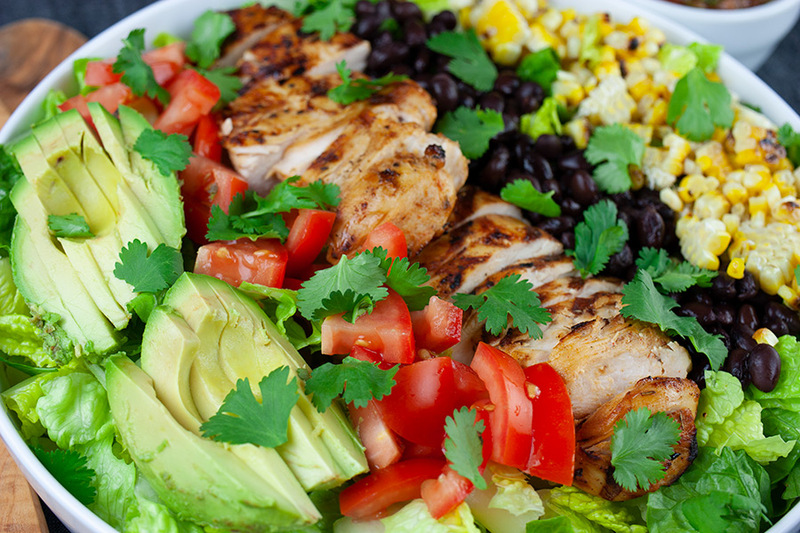 Top with the black beans, grilled corn, grilled jalapenos, tomatoes, avocado, cilantro, and sliced grilled chicken. 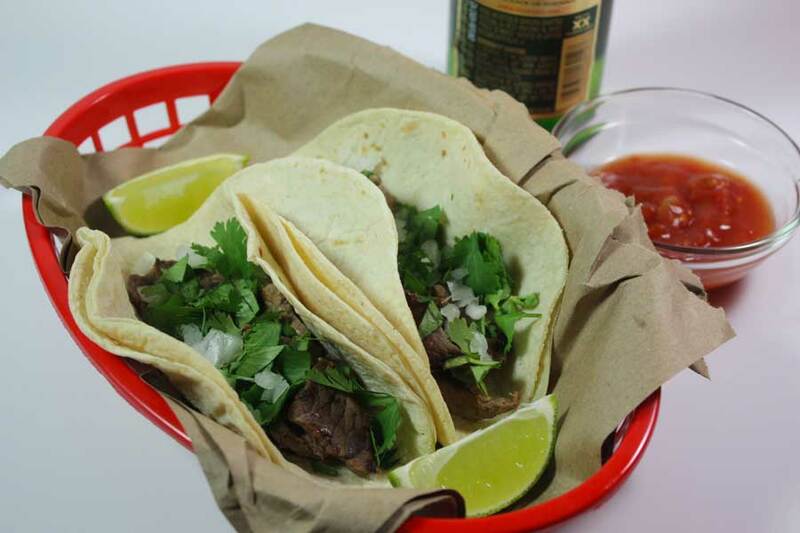 Serve with our Fire Roasted Salsa or our Creamy Jalapeno Cilantro Dip.